Including healthy recipes, tips and tricks, and trade secrets from the fitness pros and receive 51 Delicious Protein Packed Recipes FREE! 2012 Specials Are Back by Popular Demand!!!! 6 sessions with a Personal Trainer, Custom designed workout plan, 3 month Perfect Meal Plan access, standard nutrition analysis, Low fat RDA Meal plan, 8 weeks email and phone support. 3 Private training sessions with a Las Vegas Personal Trainer, custom designed workout program and basic meal plan! 1 private session with a Las Vegas Personal Trainer,. Basic meal Plan included! 8 weeks email support. text: 801-833-9573 to get scheduled for your program and start seeing results in as little as 7 days! to your door, it doesnt get any easier than that!!" Are you working out at an athletic club or gym and are not seeing the results that you hoped for? If so I may have the answer to your problems and a solution to get you seeing results within 30 days! I will meet with you privately for a 60 minute nutrition assessment. 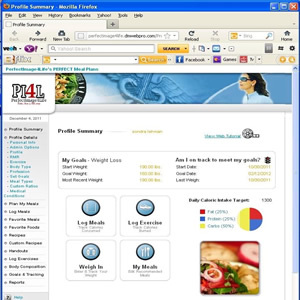 Together we will assess your goals, and put together a plan of action so you know exactly what to do while at the gym by providing you with workouts designed for your specific goals Includes access to our online menu planning software that creates meal plans & grocery lists to make your grocery shopping quick and easy! Includes 3 fat burning circuit workouts or muscle building routines & cardio program designed to set you on the right track to accomplish your health and fitness goals! Starting as low as *$229! 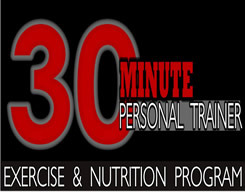 Continue to see your trainer one time per week for only $45 per 30 minute training session! Select your package today from the right column of this page and lets get you on the road to seeing fast result by taking all the guess work and frustration out of the equation, aren't you done with wasting time and not seeing results? Do you need some direction accomplishing your goals? Online personal training has been around for several years but this program is unique, fresh and utilizes current technology. What can you accomplish in only 60 days with a Las Vegas personal trainer, nutritionist, and a dietician working on your team? "A whole gym of equipment is useless if you do not have a game plan!" 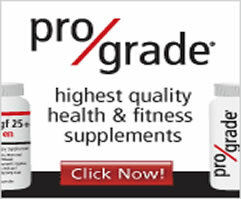 Reduce risk of conditions such as heart disease, cancer, high blood pressure, and diabetes. Healthy and strong bones and joints. Increased longevity and independence later in life. How to lose body fat and not just your water weight! How to build muscle and strength! "Don't just guess what you are doing while at the gym, your body and health are too important and this program is too reasonable to be guessing, and not seeing results!" The Perfect Meal Plans program teaches you how to eat healthier and helps you develop life long habits of self control and mental stability. Eating smaller meals throughout the day to speed up your metabolism is just one example. Gives you strength and stamina to be able to ride your bike, hike a mountain or go swimming with your children. We all want quality and without it, there is no quantity! Last but not least important, it increases the way you feel about yourself and the world around you. Unfortunately, our self-esteem decreases with weight gain. Serious cases of weight gain can even lead to depression and medications. Imagine your food intake being the answer to your lifelong struggle of feeling really good about your life! about exercise, how to combine, progress, vary and alter exercises to suit you. I will ensure you are exercising safely. If you are spending the time working out, it should be worthwhile. I will ensures an effective workout every time. Have a one-on-one coach push you further than you might push yourself. I will encourage, motivate and celebrate in your achievements. You are more likely to go to the gym if you have a scheduled appointment. answer your questions along the way and help you get over obstacles to your success. enjoy variety in your workouts, try things you have never done before, gain a new perspective on exercise and have fun with it. Exercise is not just about an end result, it is about a lifestyle commitment. Not Just Workout Routines But A Complete Program With Video, Meal Plans, And Local Training Sessions! PerfectImage4life’s Personal Trainer To Go! The Gym Consulting Program covers all areas of fitness with workout routines for the gym, home, hotel room, and even outdoors. 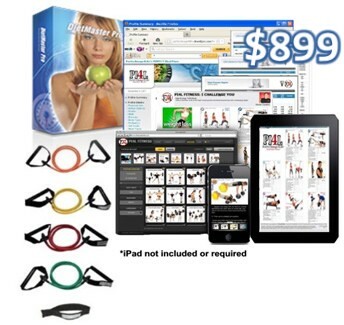 Thanks to today's current technology, finding your workout for the day is just a tap away on your iphone, ipad, ipod touch, Droid, or desktop computer! Workouts can also be emailed directly to you and printed at your convenience. Whatever your fitness needs or goals are I have the routine for you. As an Advanced Certified Personal Trainer I have the knowledge and years of experience to develop routines and programs for you! With everything from Bodyweight exercises using resistance bands, to Yoga, to bodybuilding, stretching to stability, sports conditioning to fat burning, barbells to dumbbells, beginner to advanced and everything in-between, The Personal Trainer To Go! Gym Consulting Program delivers! Each of your workouts include images, videos, audio coaching and text tips explaining how to perform all exercises correctly. Below you will learn each component of the Personal Trainer To Go Program. read on below to learn more about this, affordable, on the go option offered exclusively through PerfectImage4life Fitness! You will workout on your own 2 times per week and work with a personal trainer in studio for 1 session per week. Your workouts will be designed and monitored by a Certified Personal Trainer. Each week you will learn a new routine & principles in studio and apply that routine on your own for the next 2 workouts. By doing this you are learning accountability and a consistent behavior that will stay with you long after your initial training period. Learning how to workout and eat right on your own is the real goal in fact I use this program as part of the maintenance phase of my 12 Weeks To A New You Program as well as The Engineering 4life Total Body Makeover! Personal Trainer To Go is the ultimate proven, affordable solution and includes a Personal Trainer, a Certified Sports Nutritionist, a Registered Dietician, Meal planning program and workout database to give you every tool necessary to get in shape, stay in shape, and lead a healthy-long life! 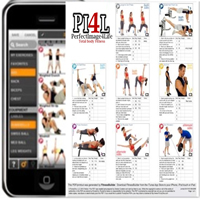 PerfectImage4life’s Personal Trainer To Go utilizes a new technology that allows you to perform your workout on your own schedule, at your leisure, no matter where you may be. Our exclusive online fitness software includes everything you need to get an effective workout in a short amount of time even while on the road or in the comfort of your own home. The workouts are perfect for the frequent travel on the go or the busy professional that wants to make fitness a priority. All workouts can be done in a gym using equipment or in your hotel room or office using body weight and a variety of resistance bands. You will have access to your personal trainer through this online software as well as tracking tools, videos, tips and tricks, latest fitness news, and a variety of different workouts ranging from, fat burning circuits, Bathing suit workouts, toning your hips and thighs, wedding workout, yoga, pilates, abs, glutes and much more! Each of your workouts include images, videos, audio coaching and text tips explaining how to perform all exercises correctly. You will have the option to view your workout on your SmartPhone device or computer or simply print it, and take it with you! So we have talked about the workouts, now lets talk about the next piece of the the puzzle, Eating the right foods for your body type through custom meal planning. • Your Estimated number of calories you typically consume! • Your daily calories and ratios needed to meet your personal goals! 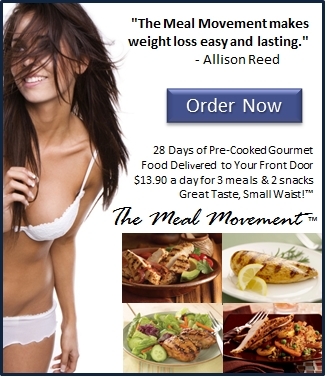 • Provide meal plans and shopping lists for your specific body type! • Establish a realistic date for you to reach your targeted body weight goal! • Educational and motivational handouts, Healthy recipes, activity tracker, tracking tools, food exchange lists and so much more is included with your online meal planning software. Meal planning, the initial consultation, body and nutrition assessment, workout routines and live sessions with a personal trainer are also included in this one of a kind personal training and nutrition program! So now you have custom workout routines to follow while away from your trainer or on the road for work. You now have a meal planning software that contains everyday foods that you can purchase at any local grocery store or fast food chain. What you need now is the next piece of the puzzle, the support to keep you on track to accomplishing your health and fitness goals! 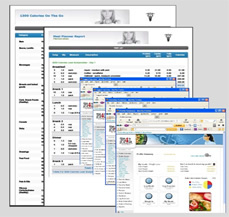 watch meal plan software in action. Now that we have talked about your training routines and your meal plan lets now dive in to the importance of live sessions and a support system. You probably already know that you will have greater success when you have someone, other than yourself, supporting you through this new journey. The truth is this, if you you felt like you could just do this on your own then it would have already have been done, am I right? Did you know that most people work with a personal trainer not because they cannot figure out how to workout from a book, DVD, or magazine, but rather because they need structure and someone to hold them accountable to their workouts and meal plans. That's exactly what I am going to to do for you! 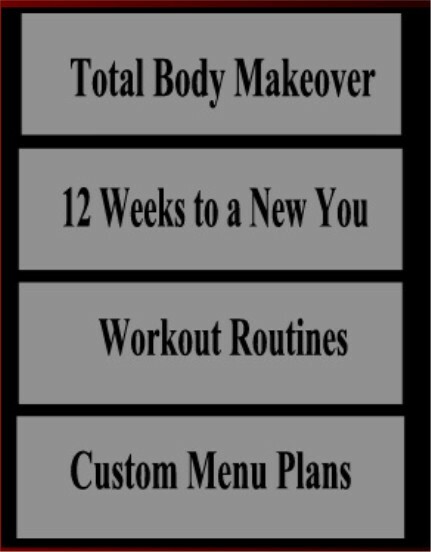 Not only are you going to have customized workout routines and the tools to alter your own workout , but you also will have custom meal plans and the ability to create your own meal plans, and what holds this all together is your regular sessions with me, once per week, keeping you motivated, excited to learn, focused, interested, and most of all accountable! For it is a combination of all these things that is the true answer to losing the weight, getting fit, and staying that way! or really Pay For It Later! We all can just go to the gym and try to use the equipment and try to eat healthy the only way we know how but the reality is this: A whole gym full of equipment is worthless if you don't know what you doing or how to put workout routines together to accomplish specific goals. If it was that easy everyone would be in amazing shape.... instead we live in an overweight society and an obesity epidemic! Not to mention if you are not eating right for your body type and your specific goals you are not going to see the results that you expected. This leads you to the point where you get discouraged and convince yourself that you are okay, just the way you are, and that nutrition and your health are not a priority right now and let another year go by, and before you know it 3 years have passed and you have medical bills that more than triple what a personal trainer would have cost you. Sorry to be the one to tell you the bad news, but who else is going to tell you! The Cold Hard Truth is this: It is better to be proactive about your health NOW and do WHATEVER IT TAKES to be proactive about your health NOW instead of PAYING FOR IT LATER! I know you do NOT want to be part of that statistic and honestly I DON'T want you to be! That's why I designed The Personal Trainer To Go Program to be easy to use, effective, fun, and affordable! Investing In yourself Is Investing In Your Health! Hiring a personal trainer is truly an investment in yourself, your health and your longevity. We as a society invest in things every day for our home, our lifestyle, our vacationing and leisure activities, so why shouldn't you invest in you? Ask yourself, "when is the last time I made an investment to better myself?" There are many others, just like you, that have a desire to get in shape but think that a personal trainer is out of their budget yet making just a few small changes in your day to day life can really make personal training affordable. For some a personal training program may not be with their reach, but then again neither was that flat screen LED Television, or all the money that you spent of Christmas presents, or that cruise that is coming up this August, but somehow you made it fit your budget, It really comes down to you, what you desire and how bad you want it! The Cost of Things: Lets look at a 30 year old males average monthly spending habits in Las Vegas. Is it safe to say that this 30 year old male is probably 15-25 pounds overweight with the majority of his problem being stomach fat? Is it also safe to say if he continues his poor habits that he is a candidate for high blood pressure, lung cancer, and type 2 adult onset diabetes? The truth is everything costs something you either pay for it now, or really pay for it later! Another truth? This can all be reversed, starting today, starting right now! So you are probably wondering how much all of this must cost? Workout Routines, Meal Planning, Personal Trainer sessions, ongoing support system..its gotta cost a fortune...right? Lets talk about what a program like this would normally run. My regular clients pay anywhere between $2000-3000 for a 3 month program seeing me 12 sessions per month. But you are not going to pay anywhere near that cost for The Personal Trainer To Go Program. not even 1/2 of that! As a fitness professional that has been in this industry for the past 10+ years I understand that not everyone can afford 12 sessions per month it is simply not within everyone's budgets and THAT is another REASON why I created the Personal Trainer to Go Program! What if I told you that I have put everything together, THE TRAINING, THE MEAL PLANS, THE SUPPORT, to bring it to you at a fraction of the cost of my regular program. I could charge $1500-2000 for this very program but I want to help as many people as possible get in shape and not become part of a statistic. So I have included everything you need to get working out, eating right, losing weight, and keeping it off, created 3 complete program OPTIONS to fit your lifestyle and your finances! Could you not afford to look into this further? Personal Trainer To Go Is EFFECTIVE, SAFE, FUN and Most of all AFFORDABLE! LETS REVIEW EVERYTHING WE HAVE TALKED ABOUT! Not only am I providing you with the tools to get back in shape, including a complete solution to weight management I am making it effective, safe, fun, and affordable to you! My team and I will personally show you hands-on how to properly perform each strength training exercise by working with you one-on-one in my private in home studio or I may even travel to you. You will follow a proven RDA meal plan designed by a Registered Dietician to get the most out of your gym consulting program. I consult and work closely with a Certified Dietician to bring you the right meal plan for your body type, your goals, and most importantly your lifestyle! So there you have it, Workouts to do on the go, at home, or at the gym. Easy to prepare meal plans and shopping lists, private training sessions and support from Las Vegas Personal Trainer Mark Lani. All that is left for you to do now is choose your initial program and your optional weekly ongoing training package & get on my schedule so we can start your transformation and get you working out, eating right and seeing results! Private one-on-one Personal Training Sessions, Meal Plans, & Workouts to do on your own! * Includes one year access to The Perfect Workouts Program through pumpone and includes three months login access to the Perfect Meal Plans online software! Watch this short video tutorial to learn more about The PerfectMealPlans included with your Personal Trainer To Go! program! learn how this meal planning software can help you quickly manage your daily nutrition needs by providing weight loss meal plans and shopping lists, tracking tools, healthy recipes, exchange lists and much more! "Wow! what a cool program, I did not even know that programs like this even existed. I just got an Ipad for xmas and I am so excited that I can now keep track of my daily nutrition and my workouts, meeting with las vegas personal trainer mark lani privately once a week is a must with this type of program, well at least for me, I really need that extra motivation and support! Perfect for the individual who is working out on their own and needs direction accomplishing specific fitness and nutrition goals! Private sessions with a personal trainer are included in this affordable solution! Meal Plan and Shopping List! 60 Minute Personal Training Session! Menu types : low fat meal plans, low carb meal plans, body building nutrition meal plans, lean body meal plans. LOSE BODY FAT AND BUILD MUSCLE! * Includes one year access to The Perfect Workouts Program through pumpone and included six months login access to the PerfectMealPlans online software! Watch this short video tutorial to learn more about The PerfectMealPlans included with your Personal Trainer To Go! program! learn how this meal planning software can teach you how to increase your metabolism and provide complete nutrition into your daily life! Perfect for the individual who is motivated to lose weight and build lean muscle and strength and is looking for fitness and complete nutrition training! Meal Plan and Grocery List! *Online Access to Perfect Meal Plans! 60 Minute Private Fitness Evaluation! Menu types : low fat meal plans, low carb meal plans, body building nutrition meal plans, lean body meal plans, vegetarian and vegan meal plans, on the go meal plans. ACCOMPLISH YOUR GOALS WITH UNLIMITED PLANNING! * Includes One year access to The Perfect Workouts Program through pumpone and includes one year login access to the PerfectMealPlans online software! Watch this short video tutorial to learn more about The PerfectMealPlans included with your Personal Trainer To Go! program! learn how this meal planning software can teach you how many calories you should eat to lose weight, how to read nutrition labels and provide complete nutrition for your kids and your entire family! Perfect for family meal planning, getting your family members off the couch and involved in a home fitness program and encouraging complete nutrition! Bonus Workouts: Yoga, Abs, Core! Menu types : weight loss meal plans, low carb meal plans, body building nutrition meal plans, lean body meal plans, high protein meal plans, diabetic meal plans, teen scene meal plans, vegetarian and vegan meal plans, aging women, on the go, and much more..
Have a general question about the Personal Trainer To Go Gym Consulting Program. email us here or simply Call 702-341-6052 to speak with Mark! © 2012 PerfectImage4Life Fitness Training | Las Vegas, NV 89117 Office: 702.341.6052 or Mobile: 801.833.9573Email us here!